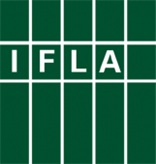 The IFLA Africa Section is seeking proposals for a satellite meeting to be held at the IFLA 84th World Library and Information Congress in Kuala Lumpur, Malaysia. Exploration of the way in which local libraries can contribute to community development. There are hotels IFLA has identified and listed for prospective conference members to use. Please check on the Congress 2018 Website.